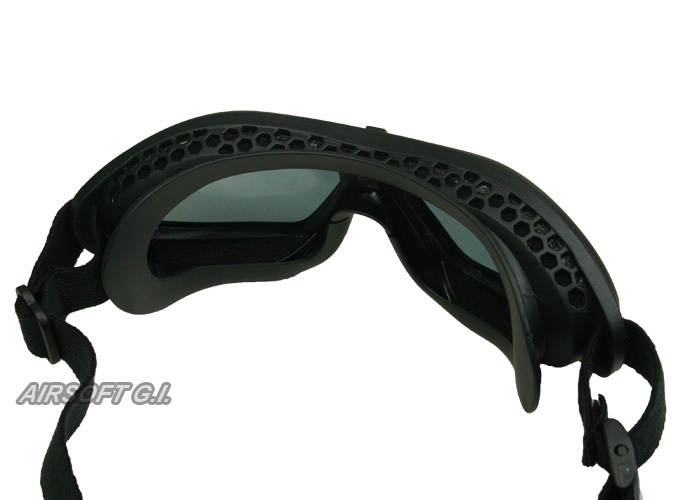 The Bullet Ant Goggle (CLR) is a low profile, high speed mobility goggle. These goggles are sturdy but pliable for a solid and comfortable fit around the wearers face. 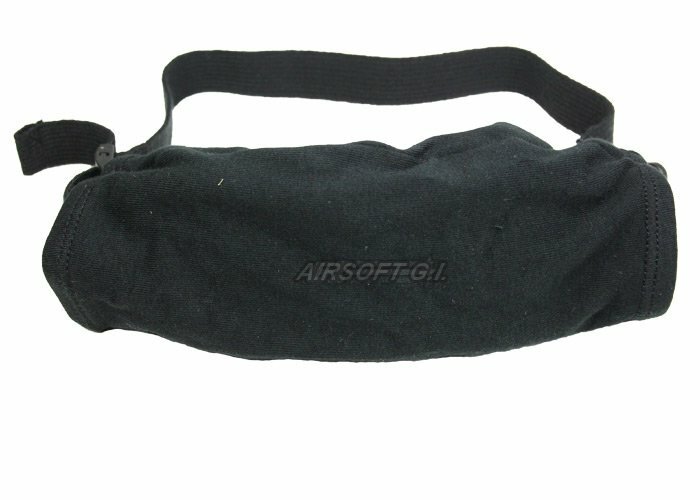 The elastic straps are adjustable and around the straps and goggles there is a protective lens bag that can be used to clean the lenses and keep them from being scratched during storage, and since it's fixated around the straps it won't get lost. 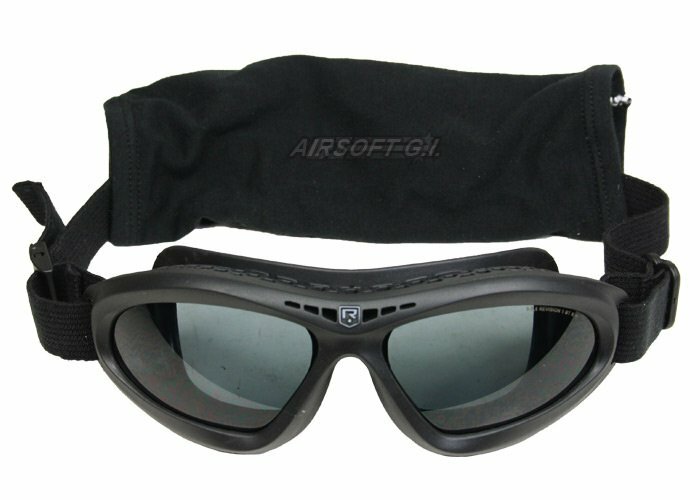 This is a low profile goggle which allows for good sight picture (on any type of sight) and seems very rugged and durable. The con is these goggles fog up so much it is unbelievable, even when i'm not wearing a balaclava. I also bought revision anti fog cloths (which work great) so if you buy the cloths it shouldn't be much of a problem. I don't find these goggles too comfortable because the straps are too (unstretchy) for my taste and hurts if I wear it for a while (even if I loosen it). 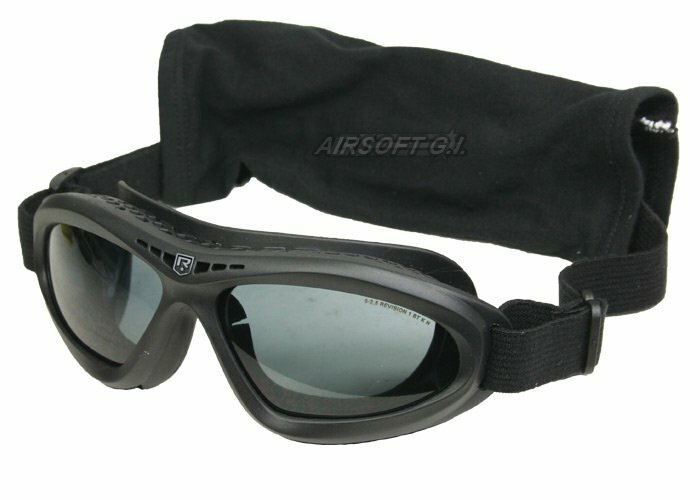 this product is an overall good set of goggles that are pretty clear and low profile. one of the nicer pairs of goggles out there. allows pretty good use of optics and offers the necessary protection. I recommend wearing a balaclava underneath so that u don't have the tight goggles pressed to your skin. these goggles served me well for several years until I finally trashed em beyond serviceability, they held my UPLC (RX inserts) reliably and didn't fog too often on me (still, wouldn't hurt you to use some anti fog wipes), these goggles have saved my eyes too may times to count. cloth cover gets in the way sometimes.